Using greenery to decorate walls is hardly a new concept. In fact, it originated with Babylon’s famous hanging gardens, where it has been posited that the garden walls were climbing with vines and leafy greens. 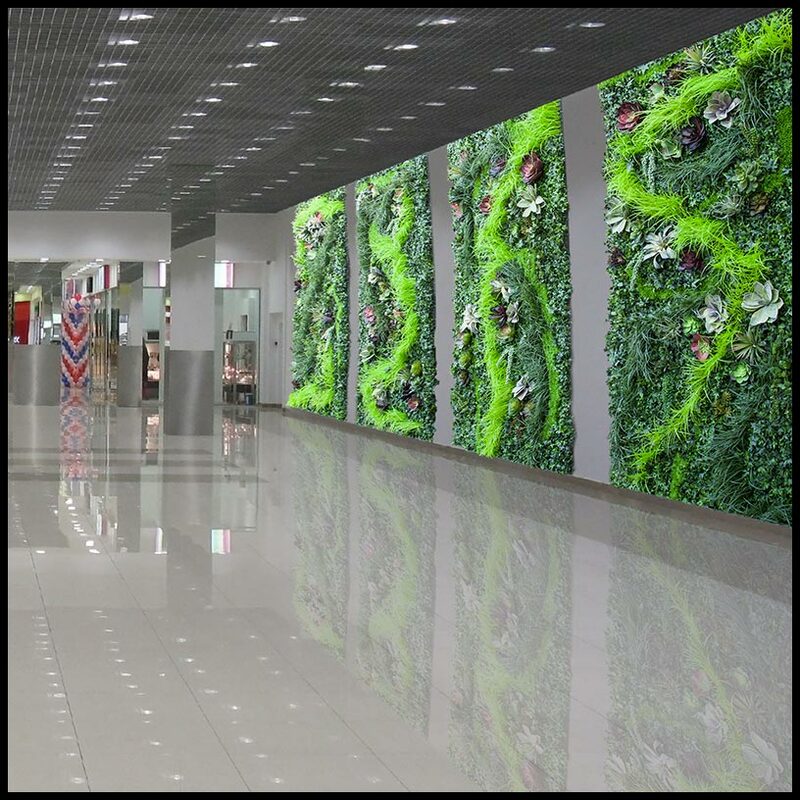 In 1986, French botanist Patrick Blanc took the concept of the “green wall” to new heights and made it a modern design trend with his notable vertical garden design at the Cité des Sciences et de l’Industrie in Paris. 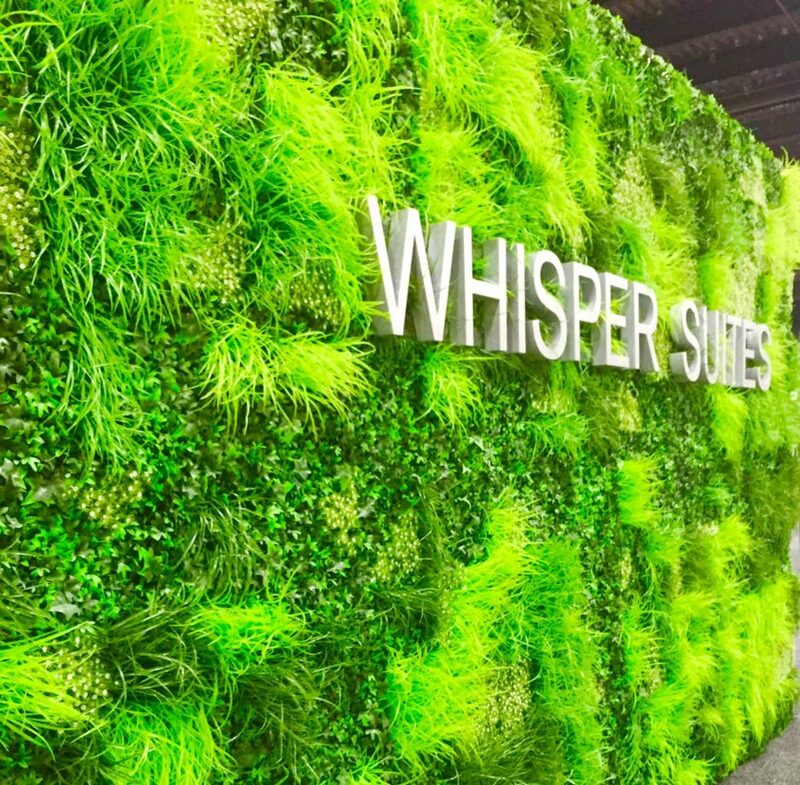 And it’s really no wonder that green walls continue as a beloved design trend; they marry the natural beauty of the outdoors with the modern lines and convenience of indoor furnishings. 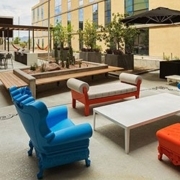 So how can you capitalize on this contemporary design accent, and without breaking your project budget? We’ll show you how in this blog post. 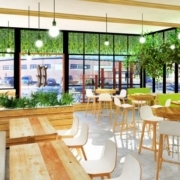 While it’s preferable to use live plants when designing a space, it’s not always realistic or cost-effective—especially in commercial design. 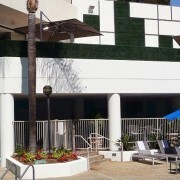 Such is the “rub” with living green walls: they require both time and money maintaining detailed irrigation systems, replacing plants, and mitigating damage from water leakage. 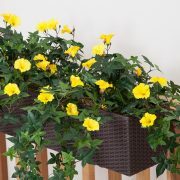 Plus, even with the best of care, plants often wither and die—and look awful in the process. Why not get the same look (they’ll never know they’re faux!) but completely simplify the design by using replica living walls, with artificial plants in an artful, green design you can customize? 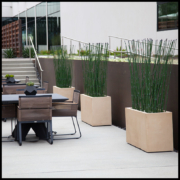 The best part about our versatile replica walls is that they can be customized in the design of your choice. Choose from any of the designs you see on our website, or create a design of your own and we’ll make it! 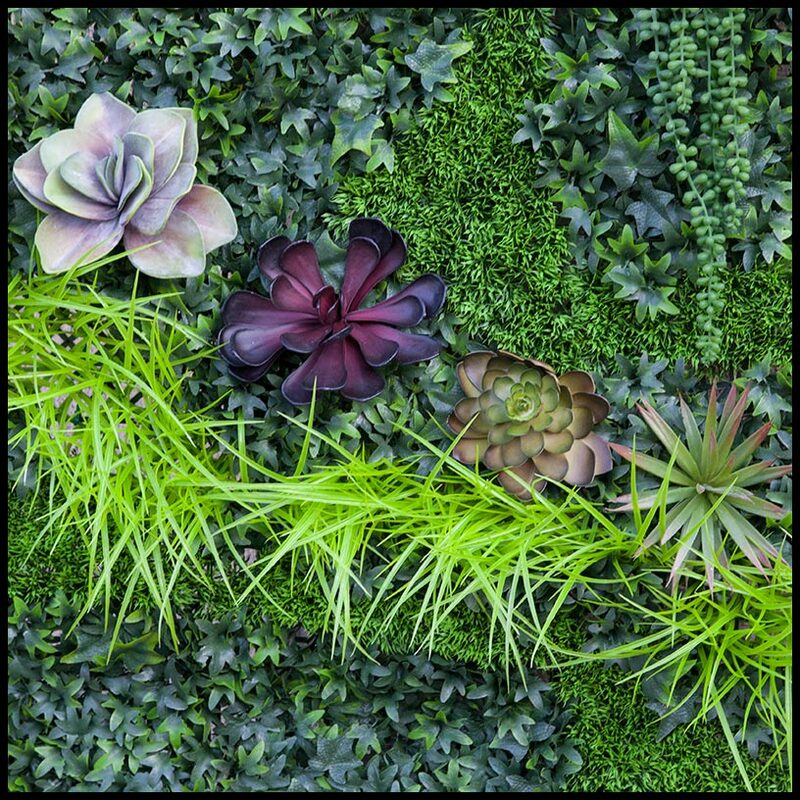 You have several realistic faux plant choices for your new green wall, from mossy greens to vibrant lichen to textured succulents. Plus, these plants will retain their color and shape so that they look fresh year after year—and without worrying about watering, trimming, or fertilizing. 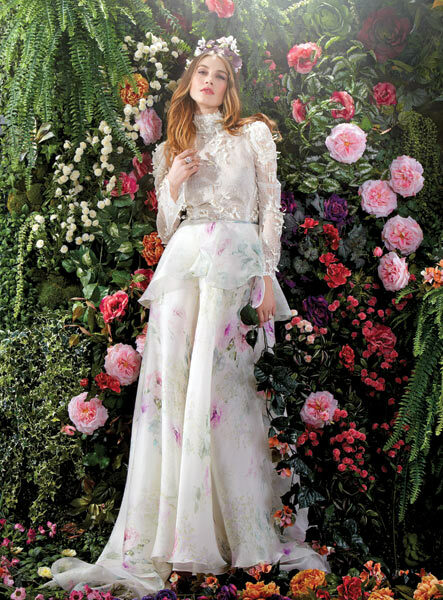 Photo courtesy of Bridal Guide Magazine. Oh the Places You’ll Go with Replica Living Walls! 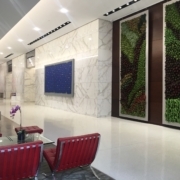 These modern green-turned-art pieces can be seen gracing the hallways, accent walls, foyers, and lobbies of hotels, restaurants, spas, retail shops, and other commercial venues. 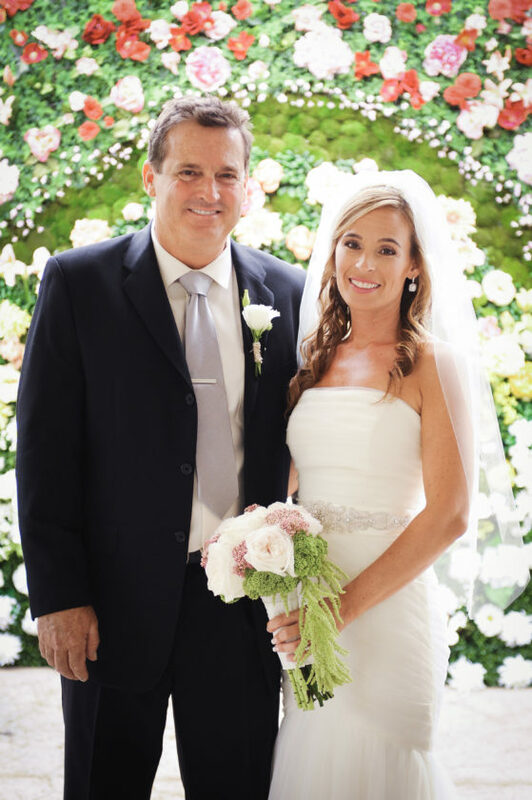 They are also popular backdrops for weddings and other special events, as well as trade shows and conferences, as their neutral design can be made to fit into virtually any design theme. 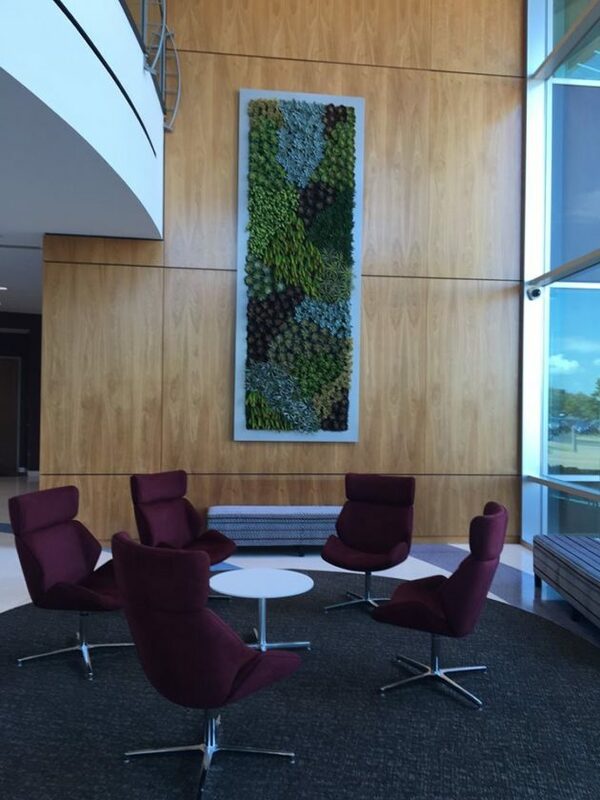 Popular in offices and commercial venues, replica green walls add a softness and organic beauty to more hard-edged, manmade surroundings. Couple these characteristics with their full customizable design, and you have art pieces that can be placed as the focal point or in the background, and are made to fit any space in both size and style. You might have to remind yourself that these beauties aren’t real—as a matter of fact, we often hear from our clients that these replica walls look so lifelike, they have to touch them to remember they’re fake! 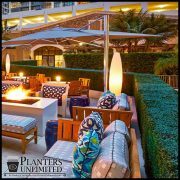 Same for your hotel guests or those enjoying a quiet meal in your upscale restaurant—they get to enjoy the look and promise of greenery while YOU get to enjoy the fact that you’re not spending hundreds of extra dollars and hours on landscape maintenance. And Now with NEW Lighting Options! 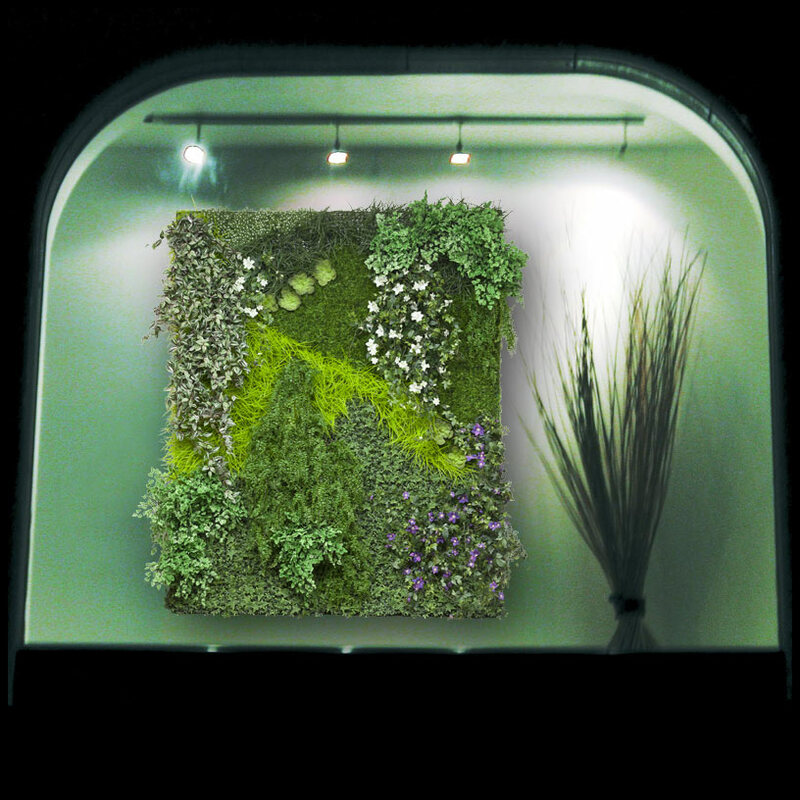 Light up your new replica living wall the way you would any piece of modern art—with up and down lights! Cast a beam down from the top or splay a swath of light from below to highlight the textural design and vibrant, leafy greenery. Learn more about your lighting options by calling our design experts at 1-888-320-0626. Designs, Suggestions, Answers…We’ve Got Them All! 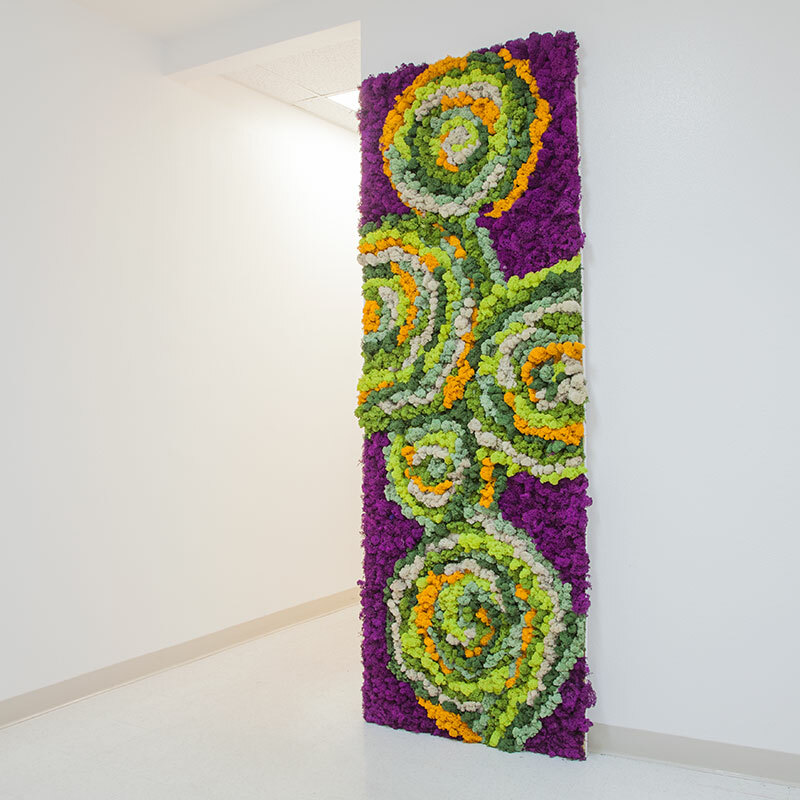 Have a question about our replica living walls? Whether it’s which design would work best or how long our lead time is, we’re here to help you! 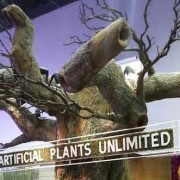 Visit us at www.ArtificialPlantsUnlimited.com or call us toll-free at 1-888-320-0626.